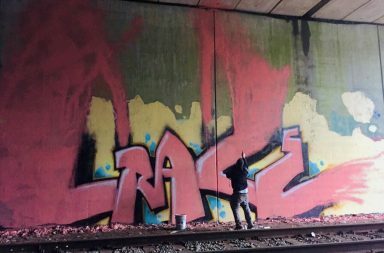 You could argue that Graffiti is Americas Rock n Roll take on art, and in the last 20 years it has taken form in our generation as one of the dominate artforms in the world and is a global phenomenon. 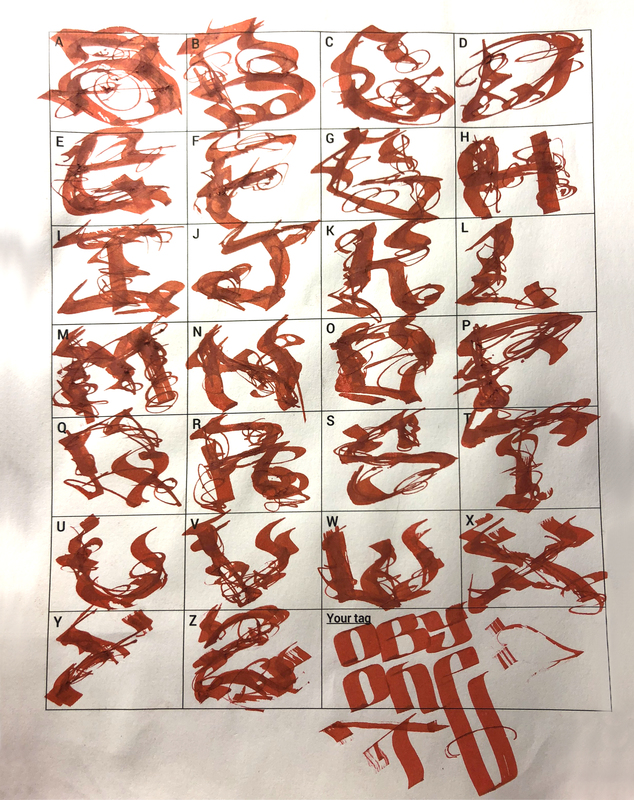 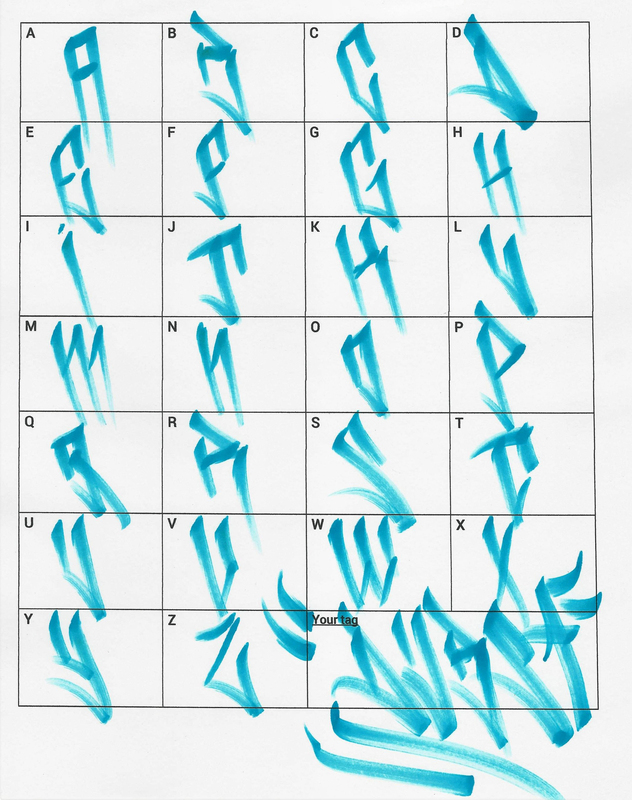 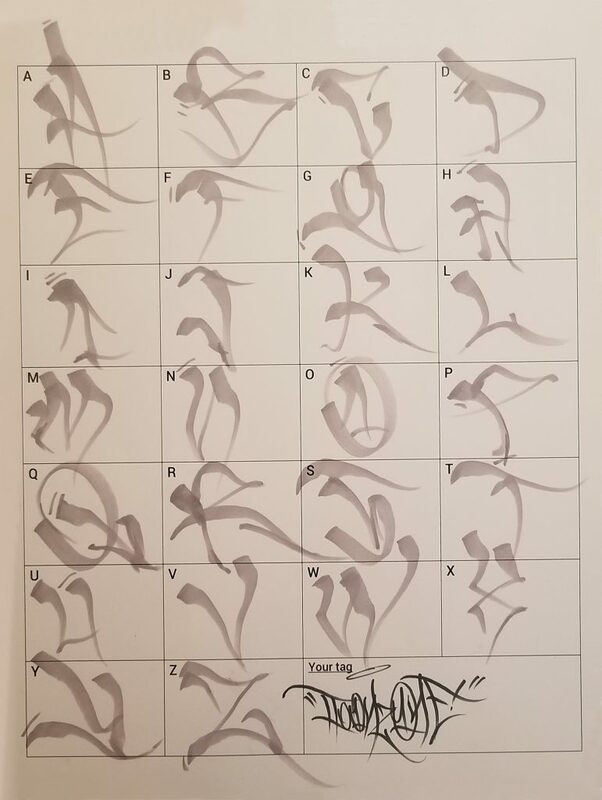 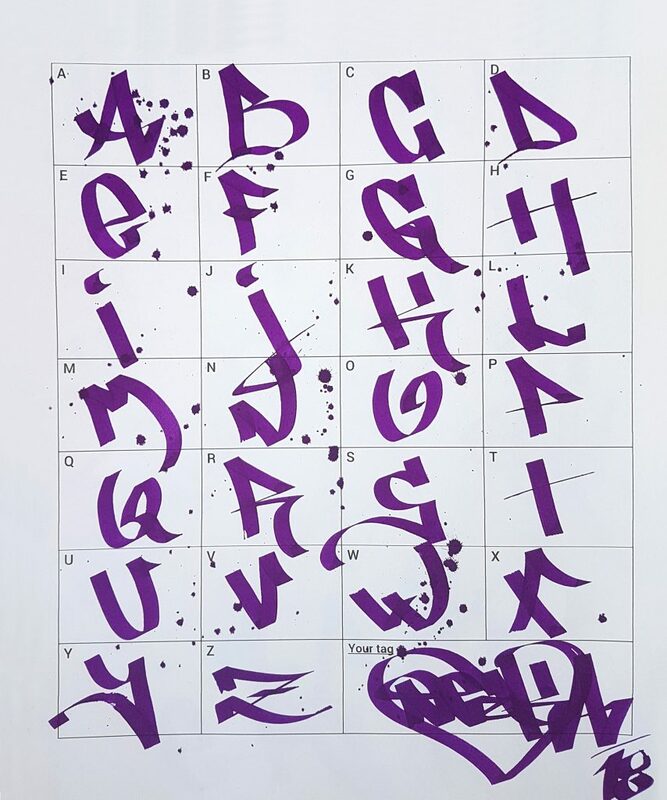 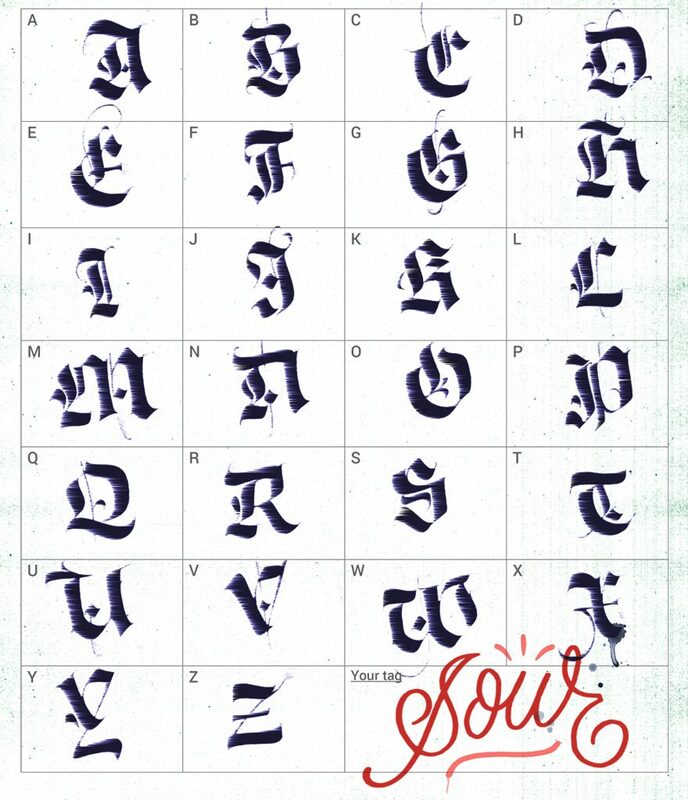 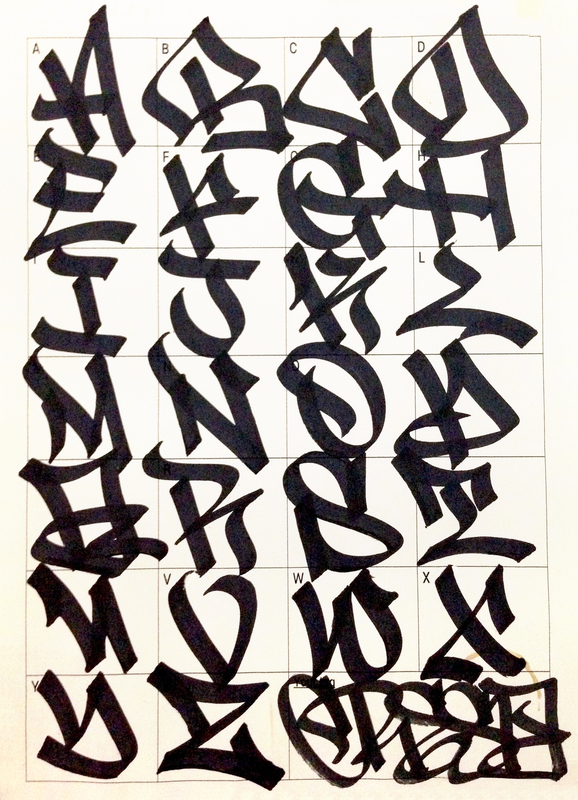 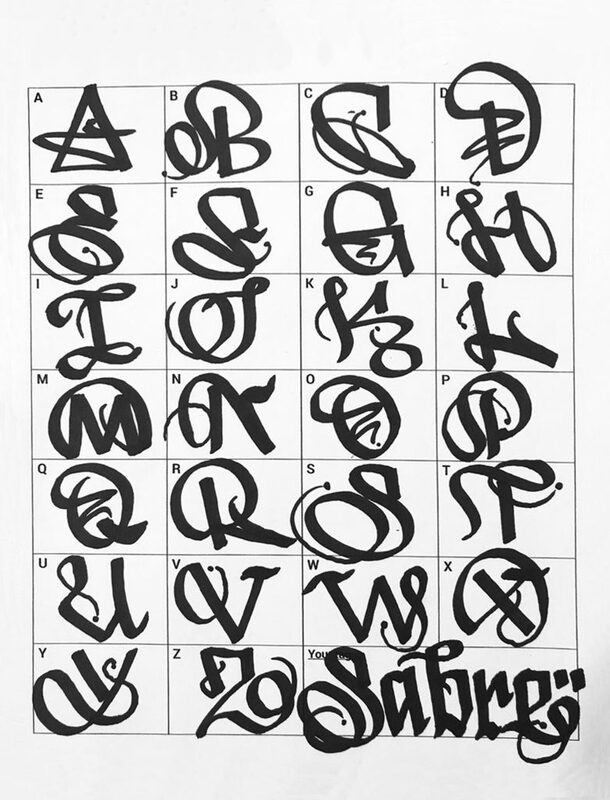 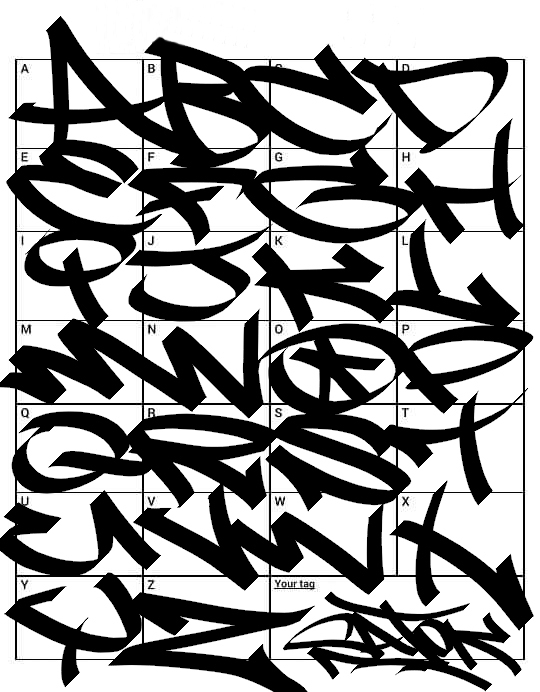 What any beginning writer needs to know is the history of graffiti, and the importance of graffiti letters and how to handle them. 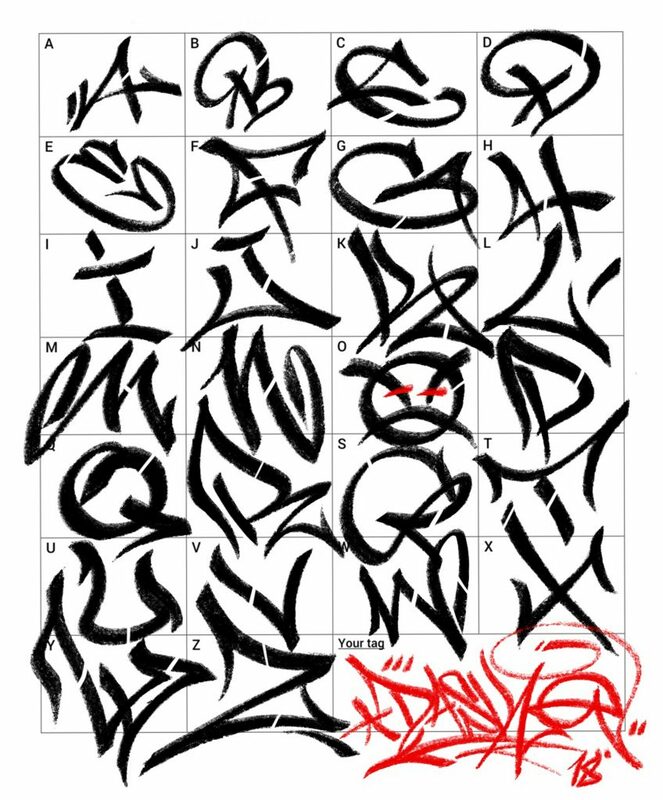 There are plenty of different styles but today we are only going to cover the most common styles and ways writers put their tag up. 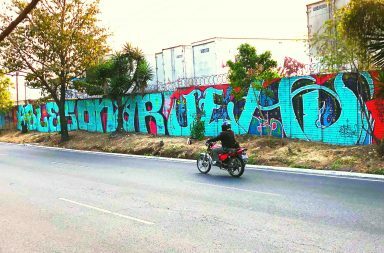 Originally it was believed that Graffiti originated out of New York but in actuality it started decades before in Los Angeles. 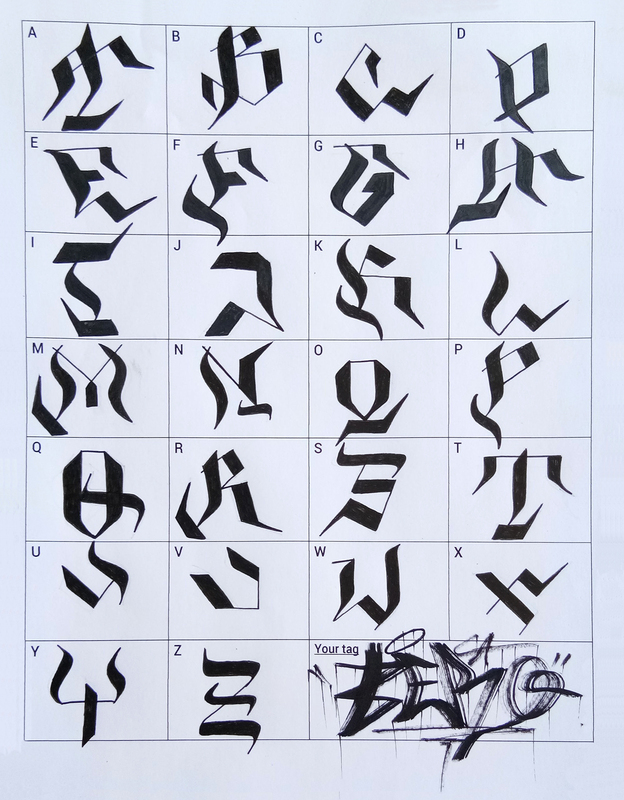 Cholo or placas writing is shown in photographs going back as far as the 1930s and 1940s, and unlike the New York scene it was not decorative in any way it was formed strictly as a functional form of signs and codes for street gangs to mark their territory. Today we know it for being the iconic script that perfectly represented the low rider and hip hop culture that emerged from California. 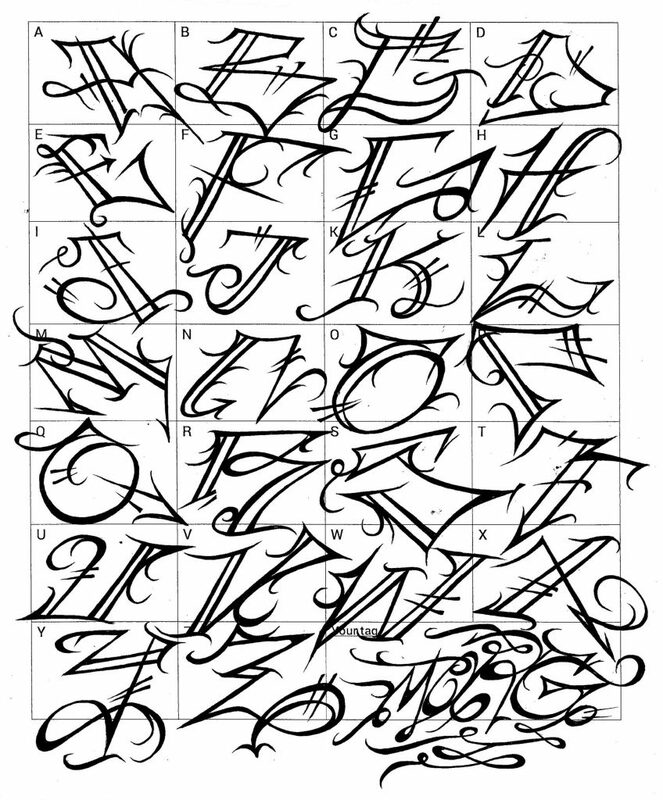 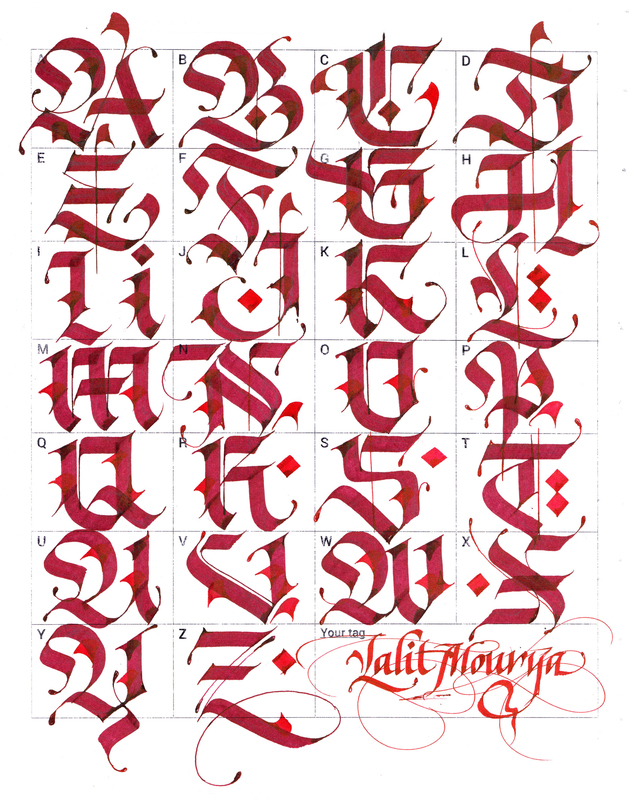 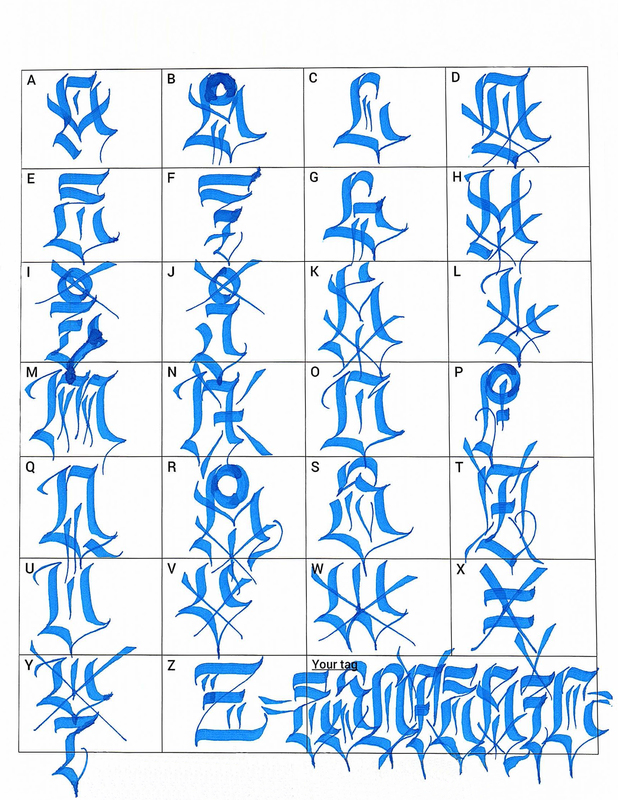 What is also interesting to note is this style never evolved into the throw up styles that came out of New York and still today it has its monochromatic old English font. 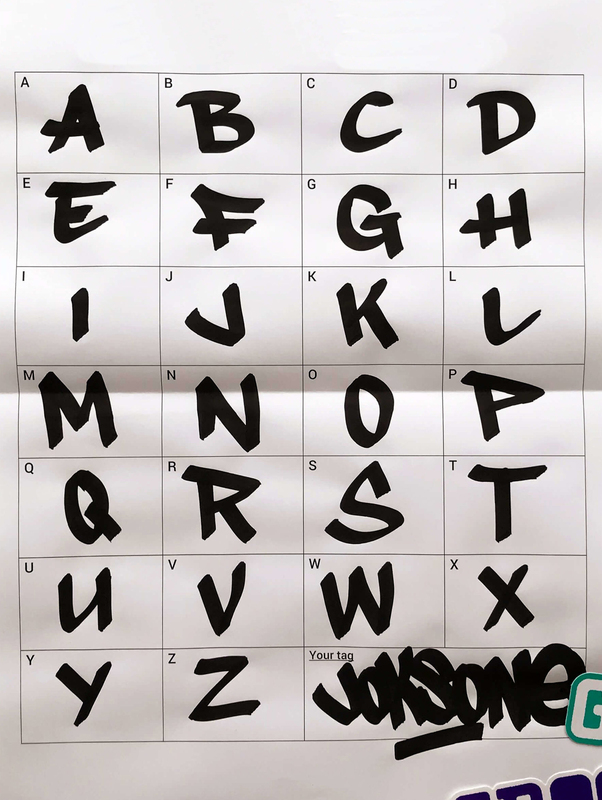 In the early days of the New York scene however it was just about putting up your tag and no one really thought of or approached letters outside of the font and style that people saw on a daily basis in newspapers and magazines. 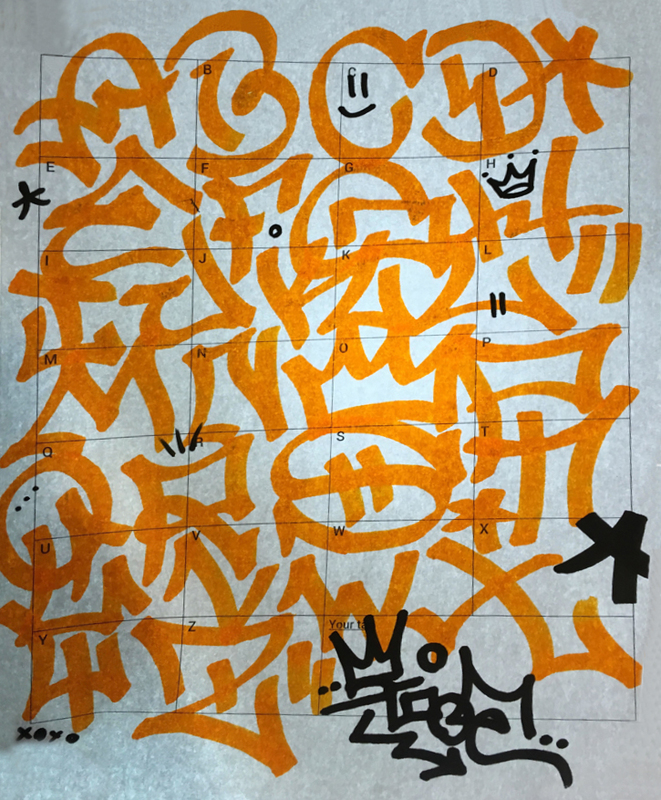 But as the art form evolved we got throw ups and blockbuster styles, both were a step in the direction towards the larger more complex style you see in graffiti today. 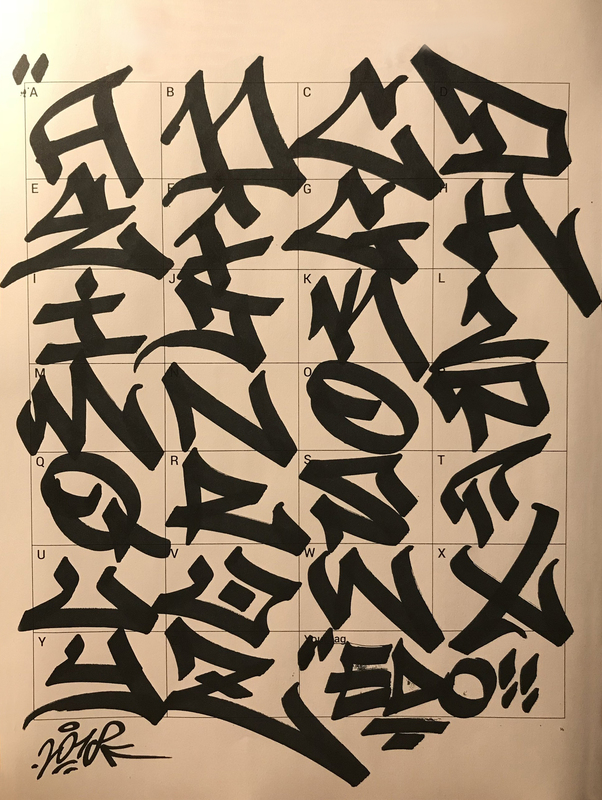 Throw ups emphasized the flow between the different letters layering them on top of one another and the blockbuster style took the opposite approach by taking letters and spacing them evenly apart from one another and adding the 3 dimensional aspect to the letters. 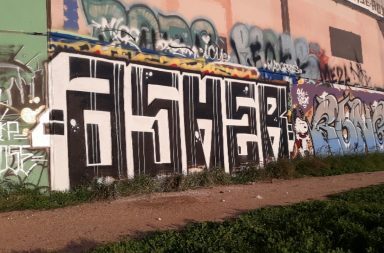 Throw ups are now recognized as a middle ground between putting up a simple tag and doing full pieces and they became the basis for what graffiti would evolve into since much of the earlier throw ups emphasized losing the lines between the letters to give them momentum and flow. 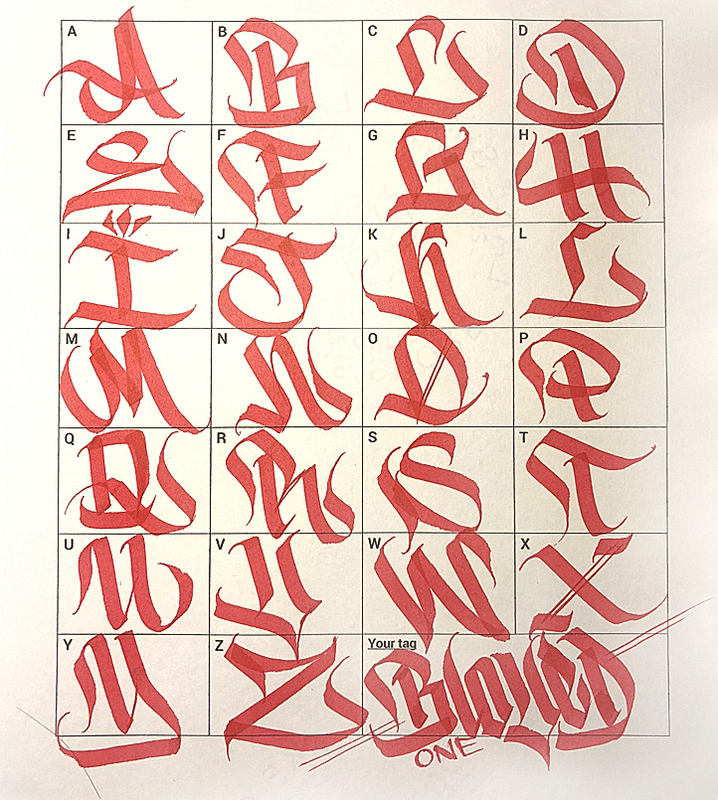 From this Wildstyle was invented which was purposely distorting the letter anatomy as much as possible and still trying to maintain the letters original shape. 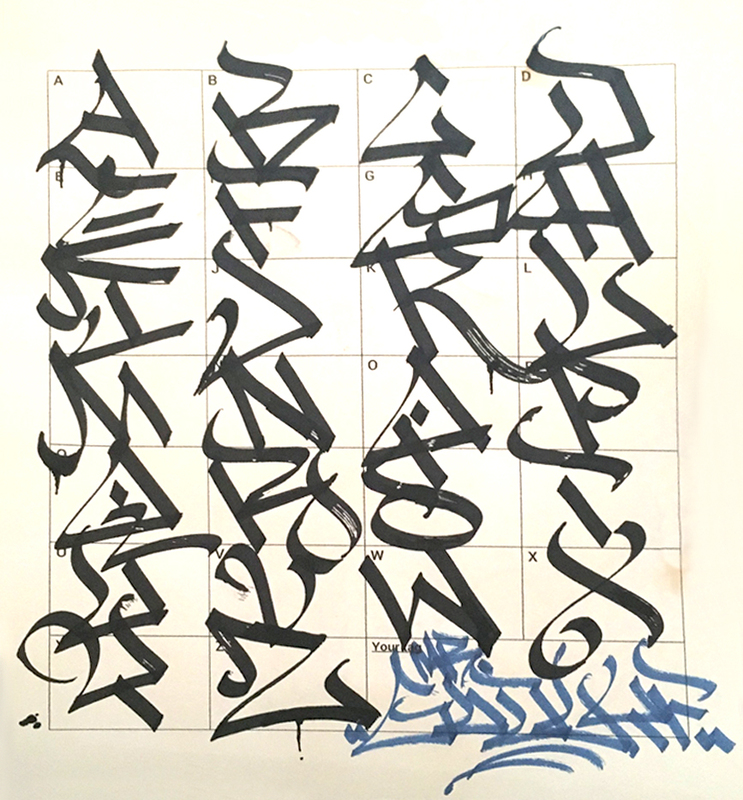 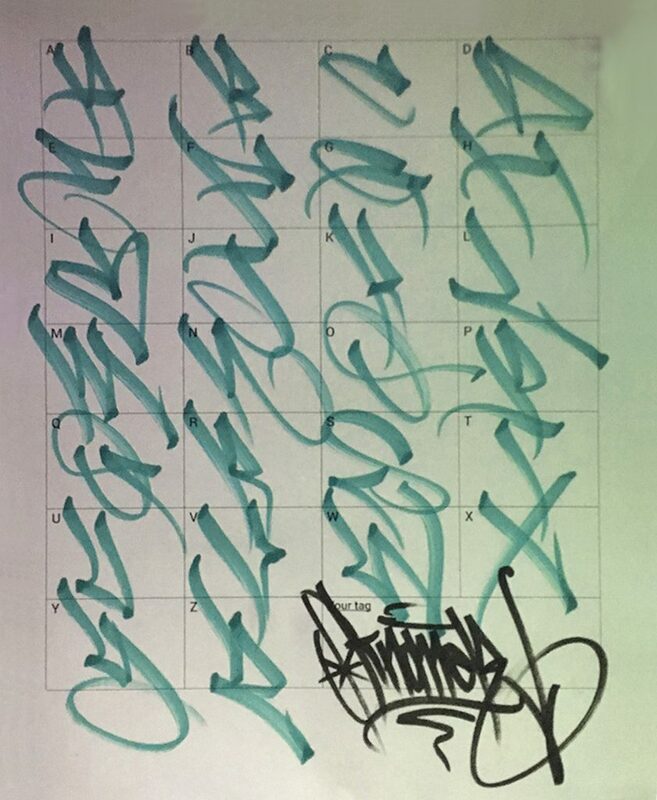 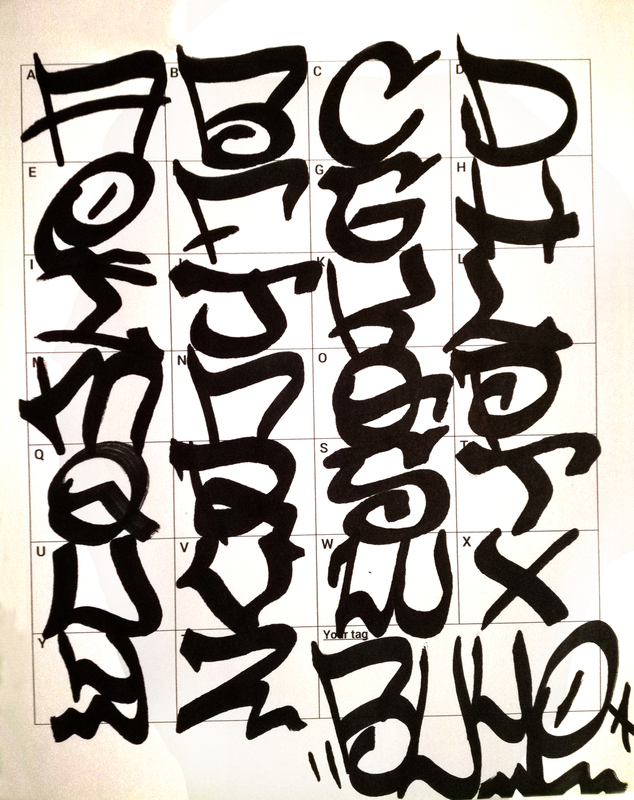 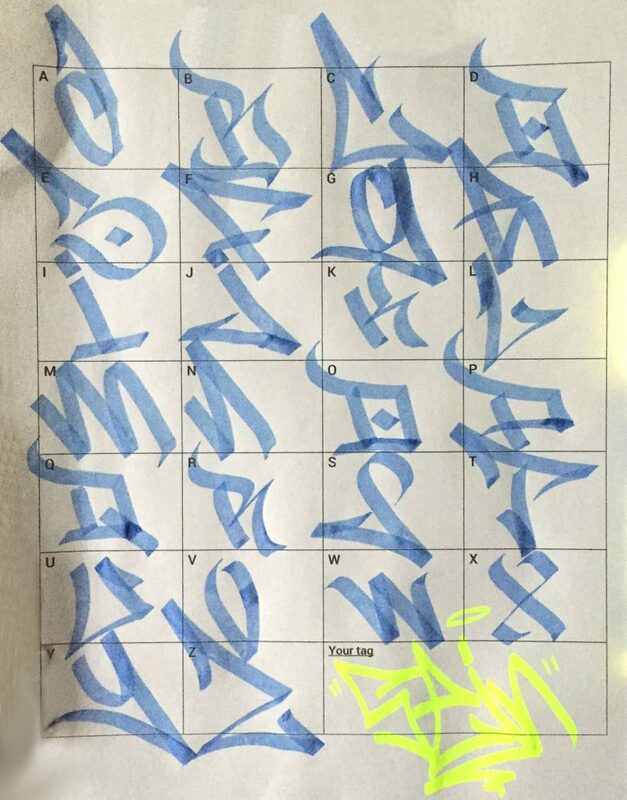 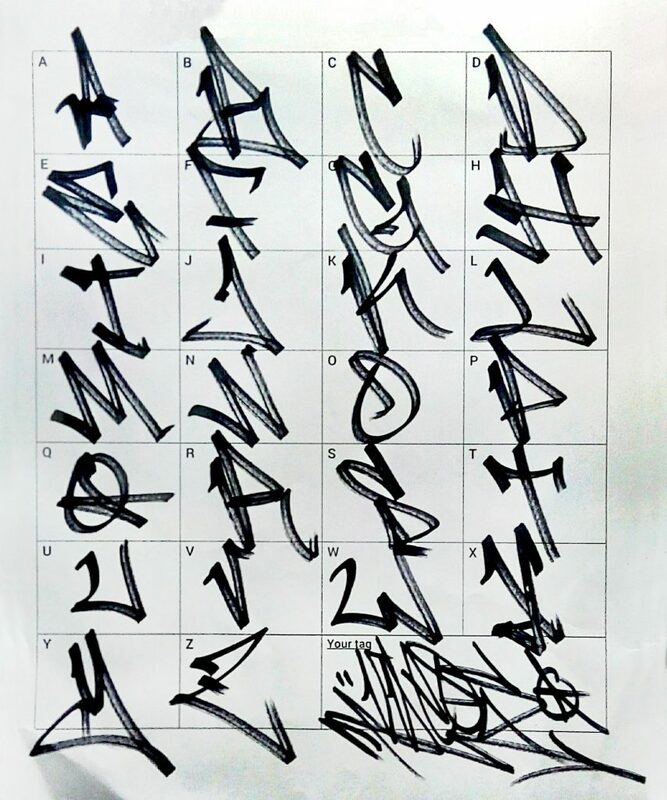 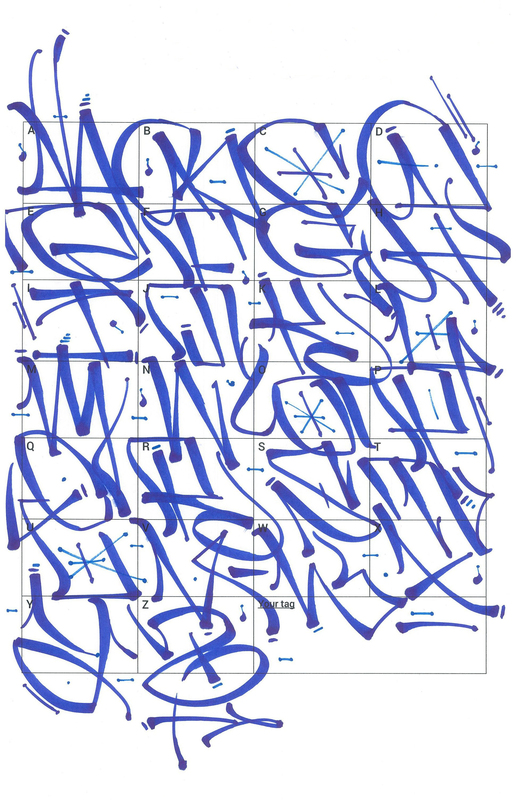 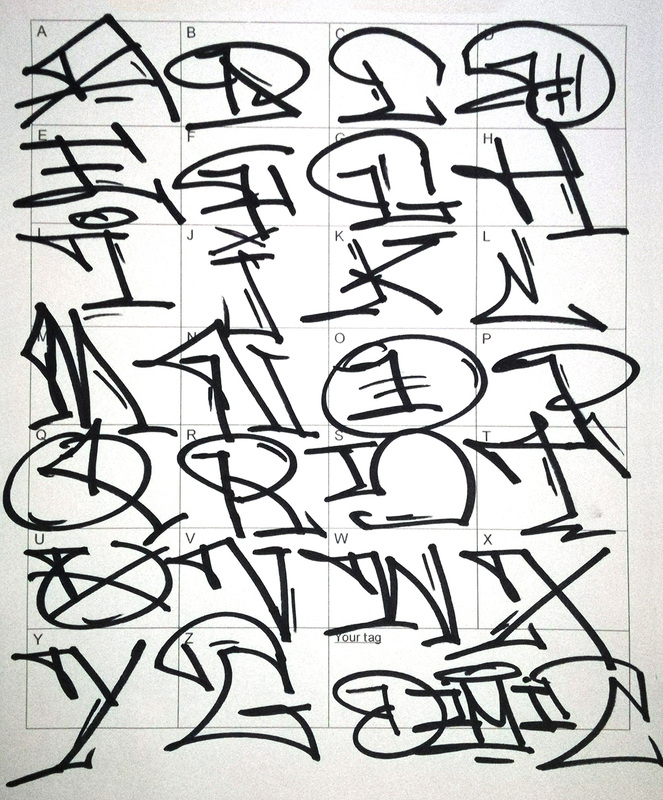 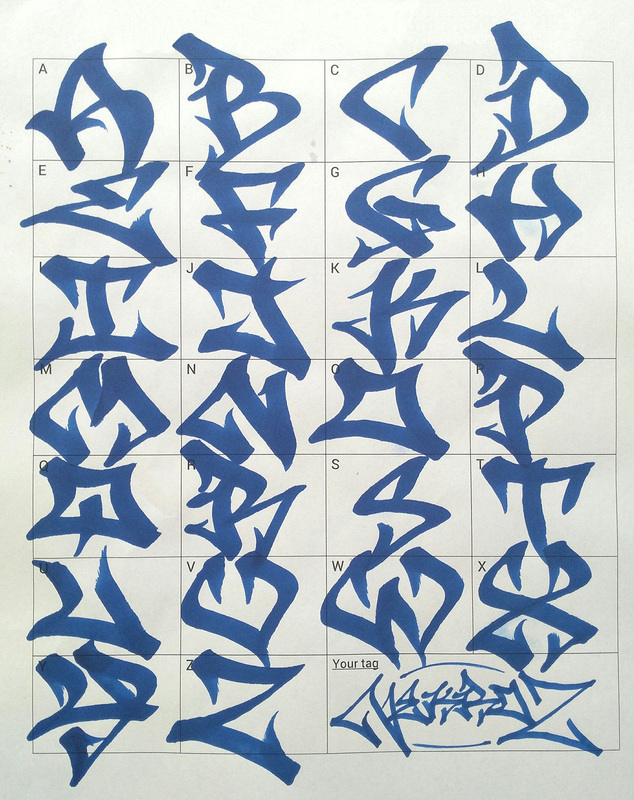 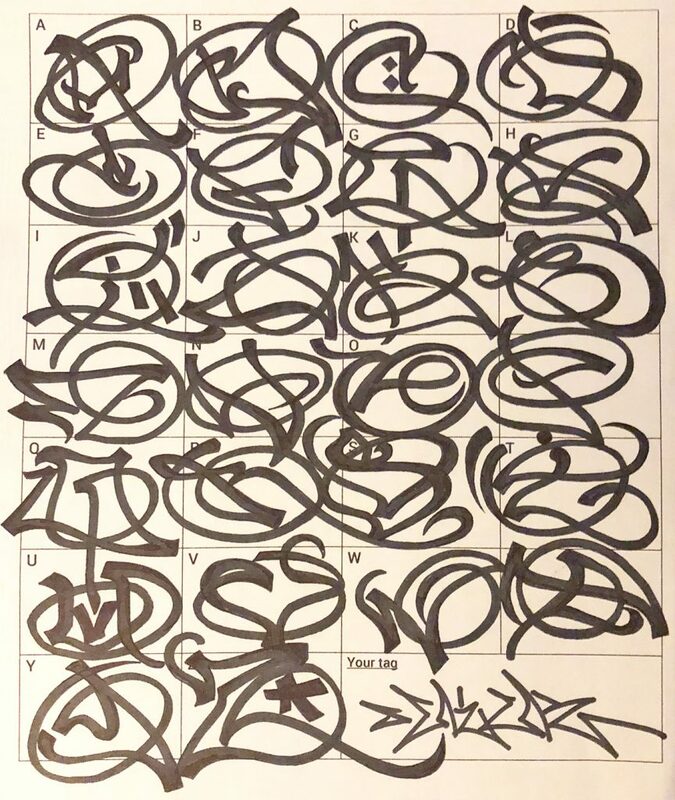 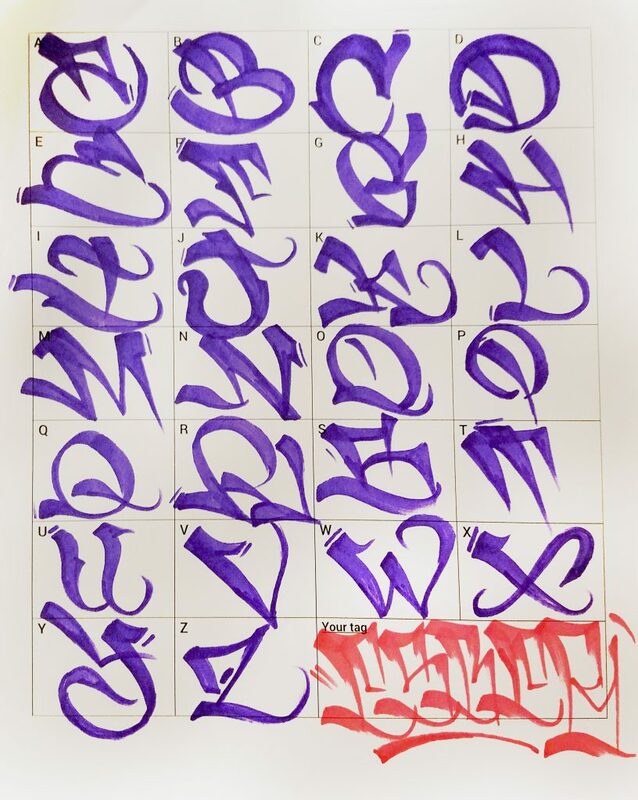 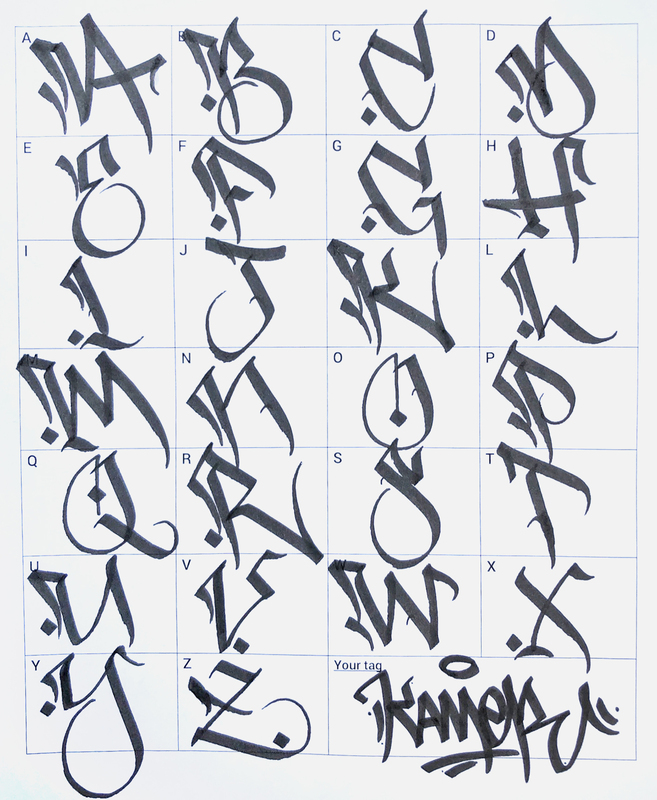 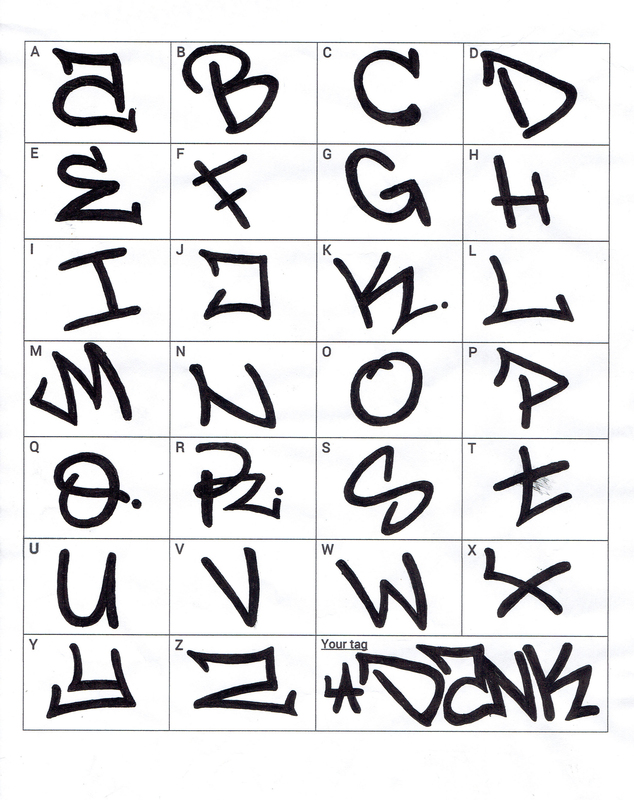 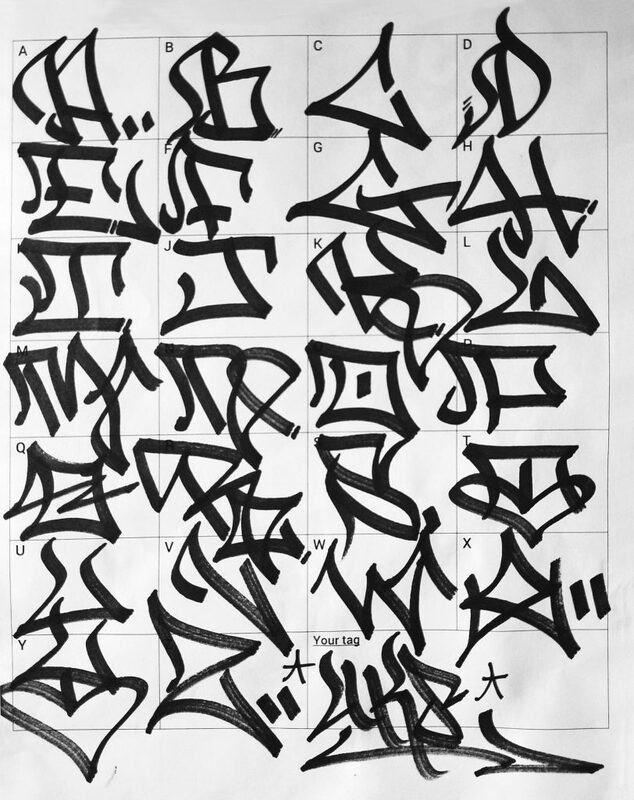 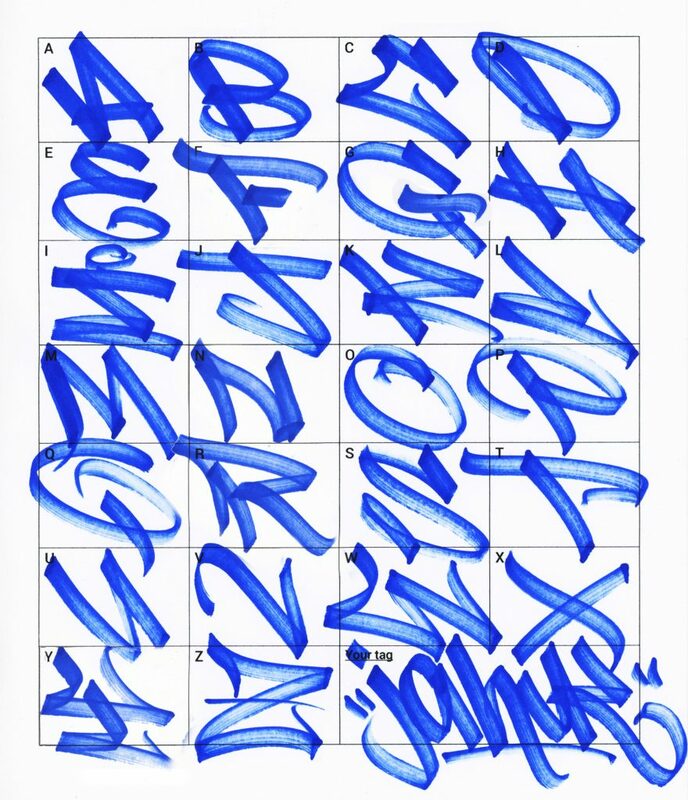 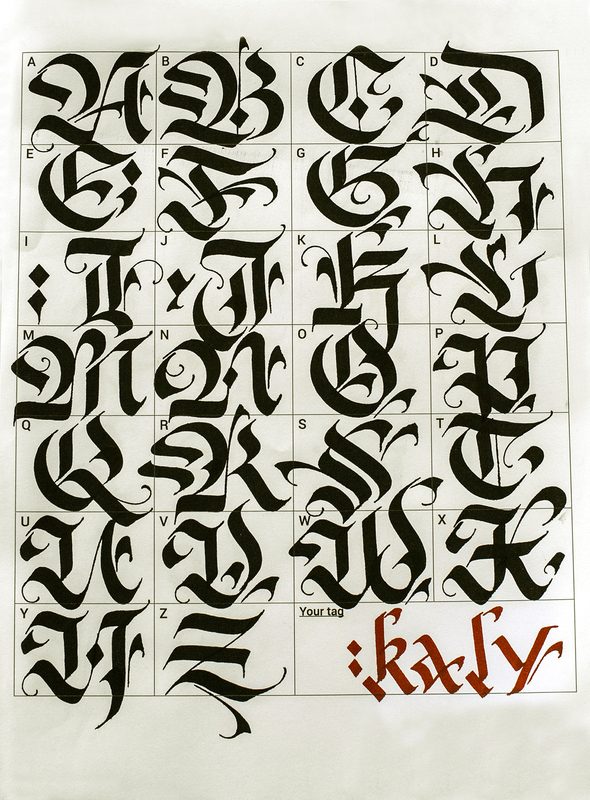 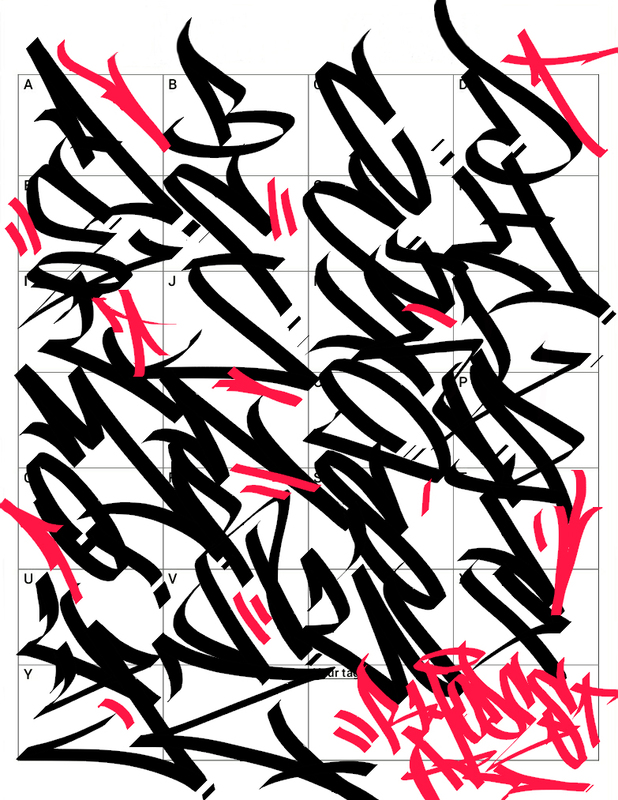 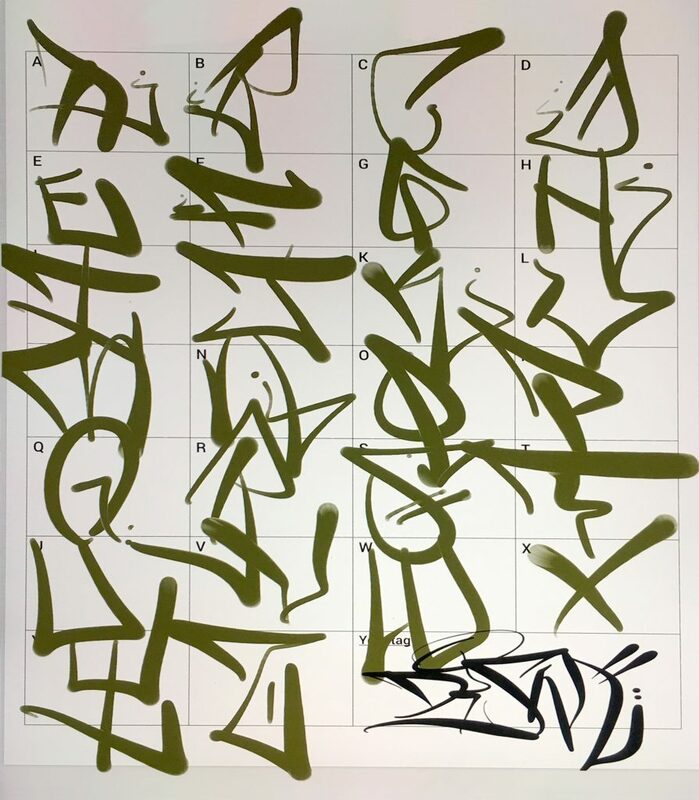 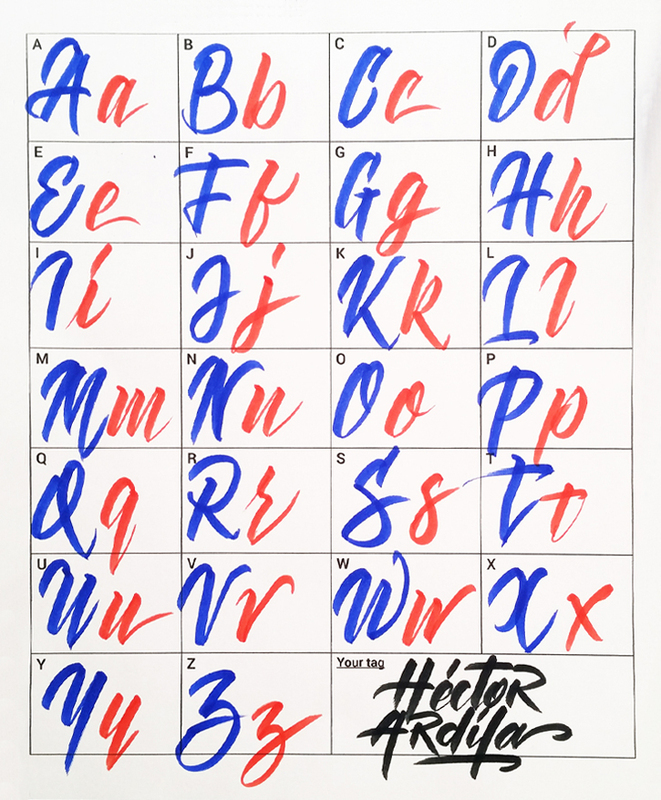 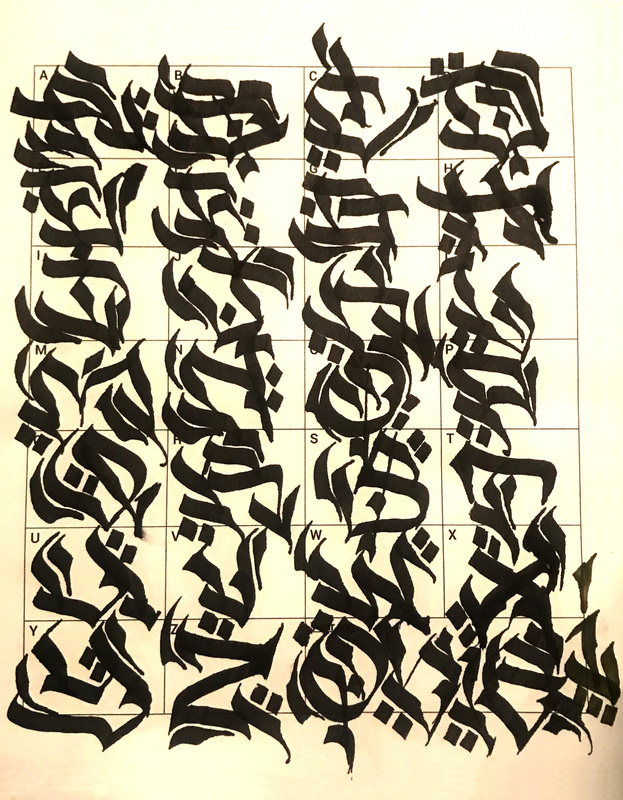 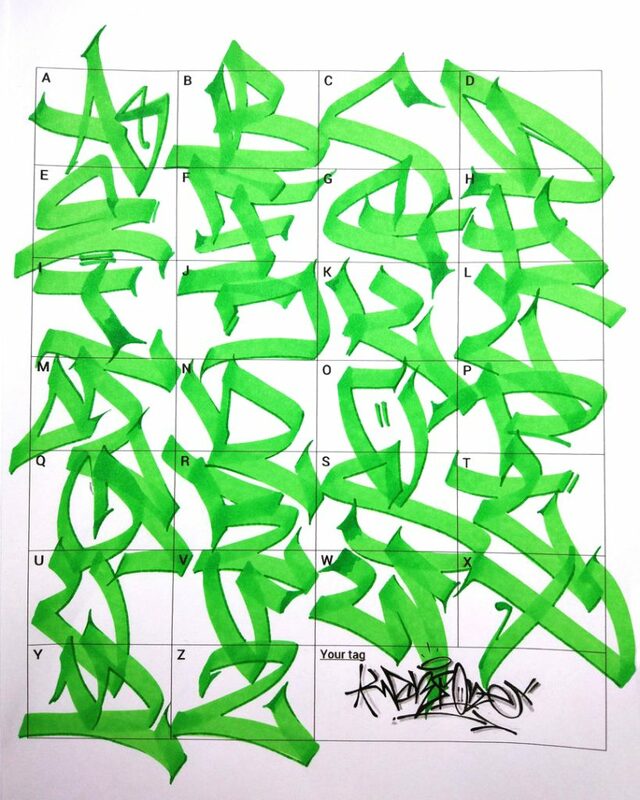 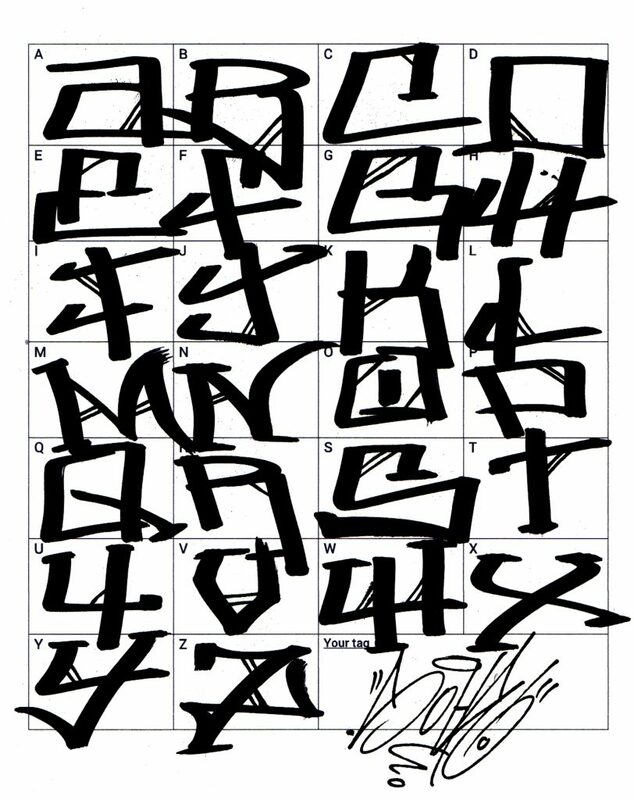 Wildstyle is an example of how the new generation took the lessons of flow and momentum that was taught to them by the older writers and pushed the letters into more abstract shapes and designs that verge on being a secret code that only people who are familiar with this style can read. 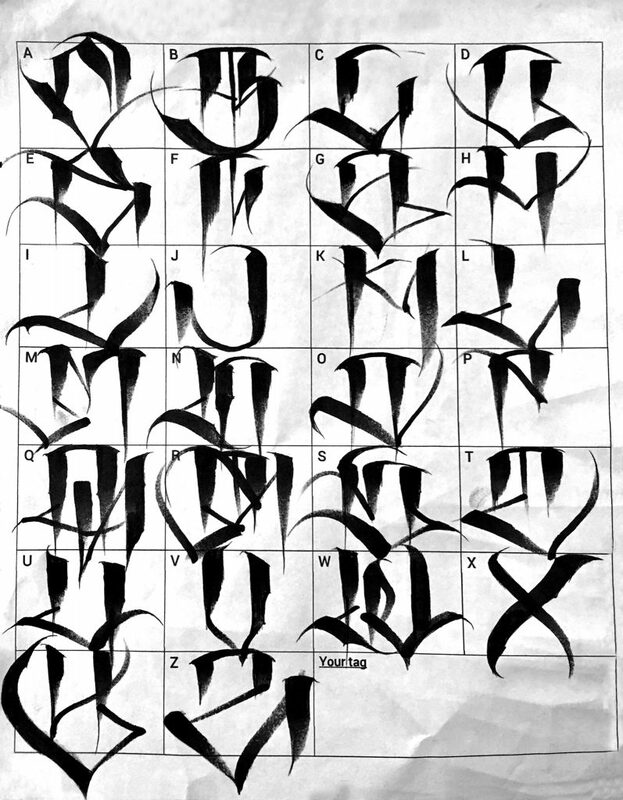 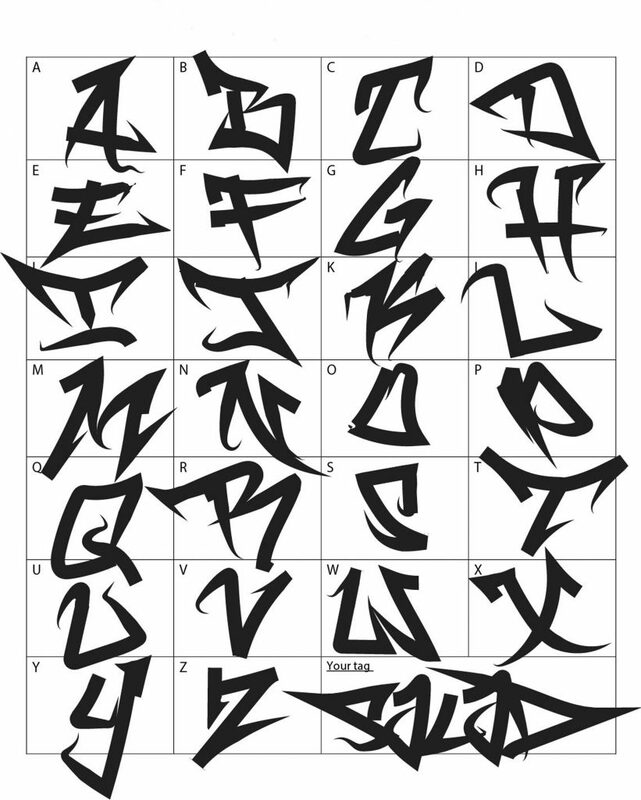 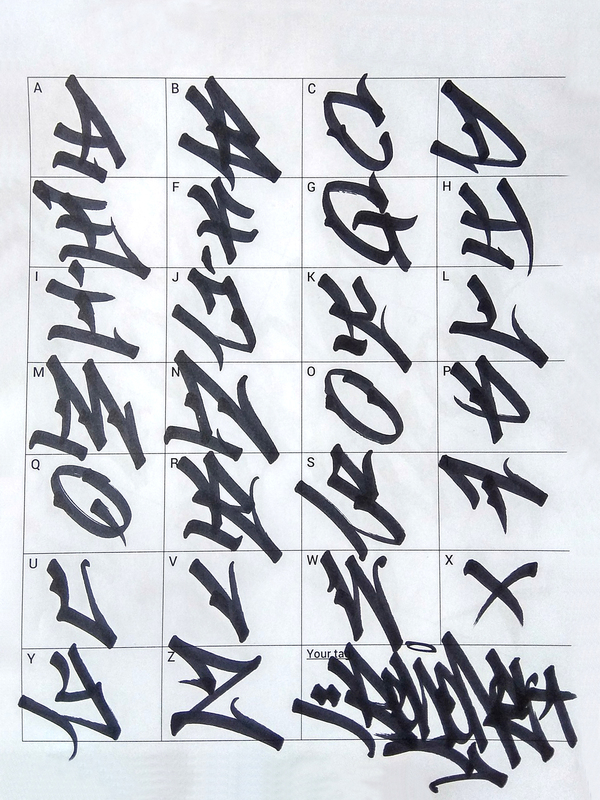 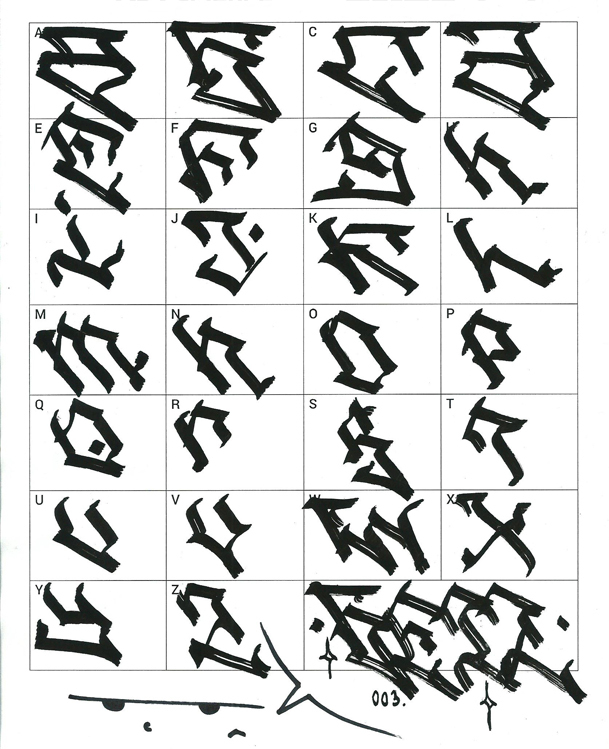 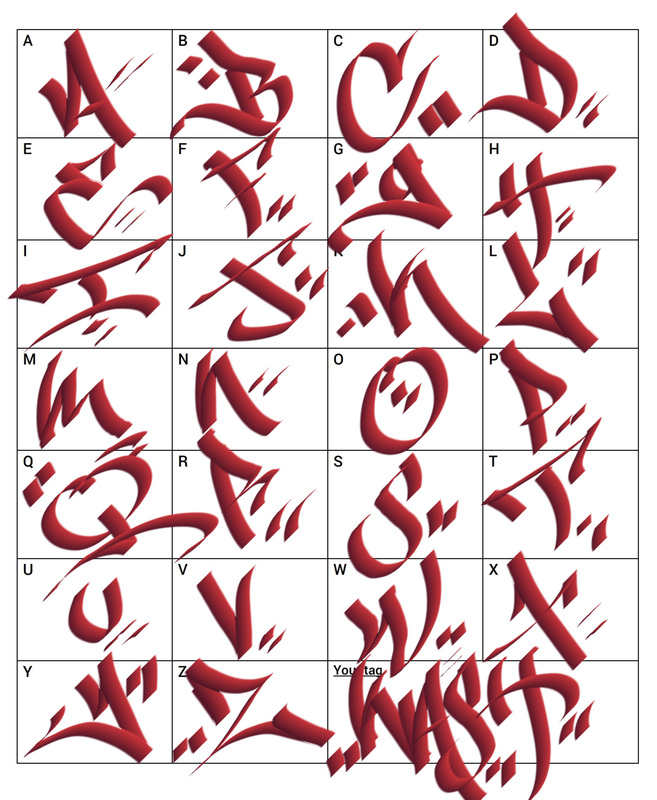 Because of that it is considered an advanced style of writing and can take years of dedication to master. 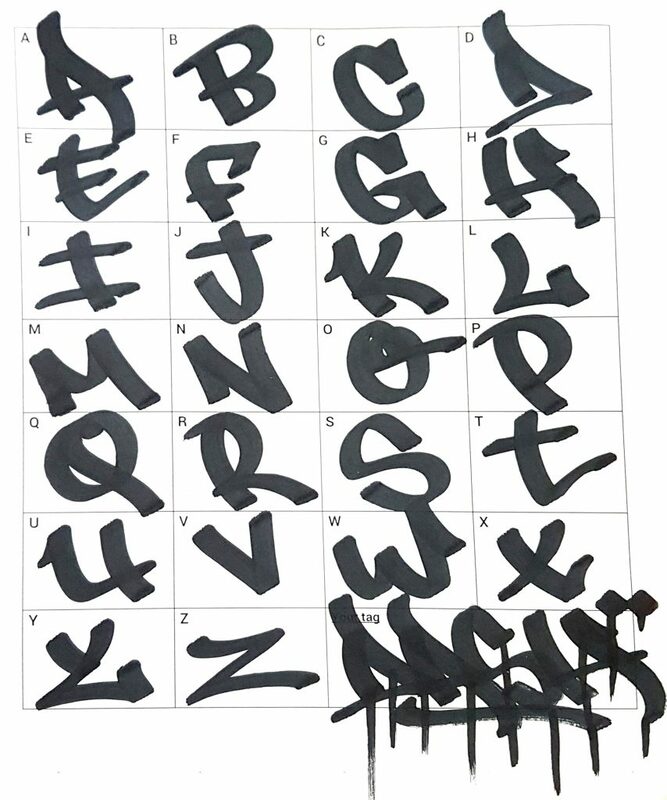 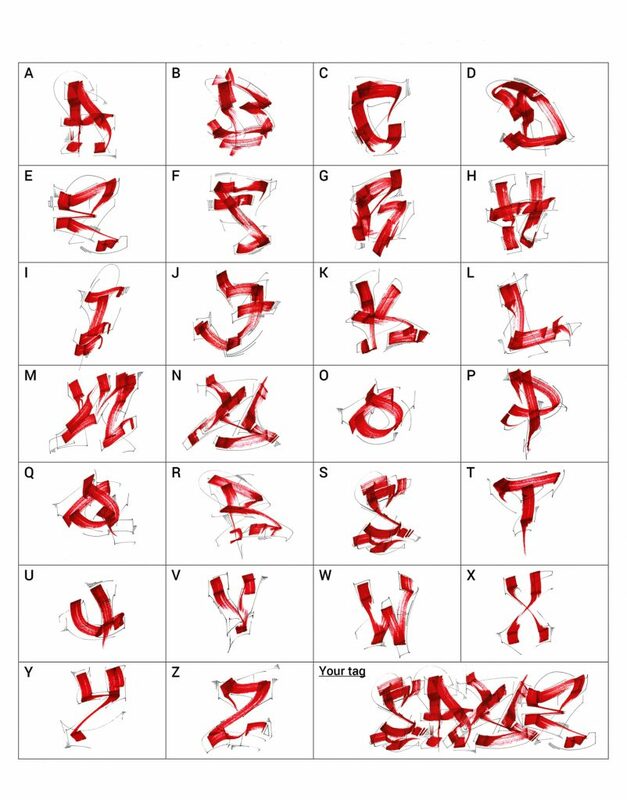 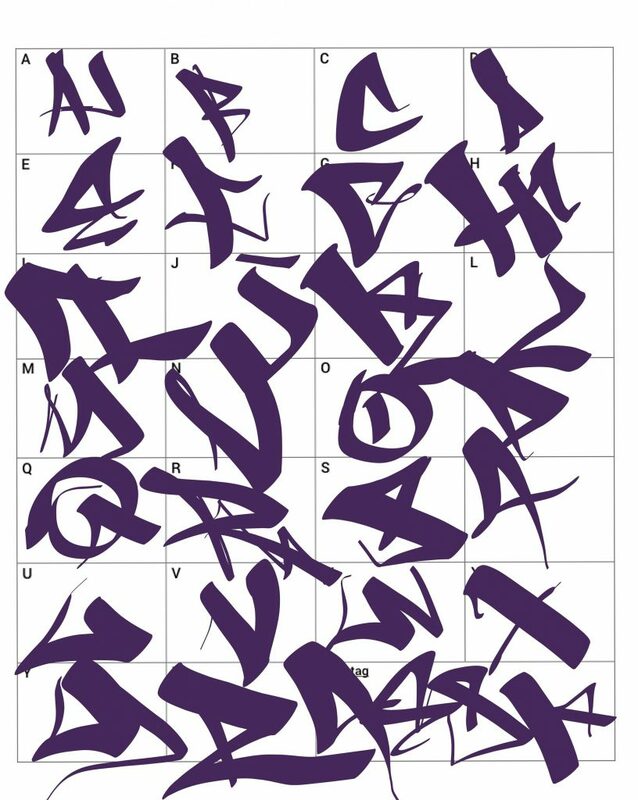 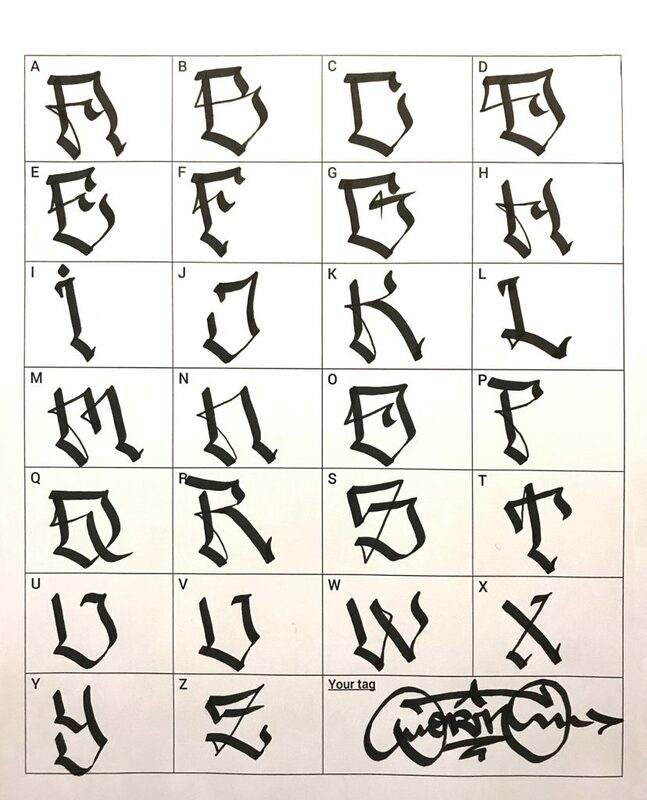 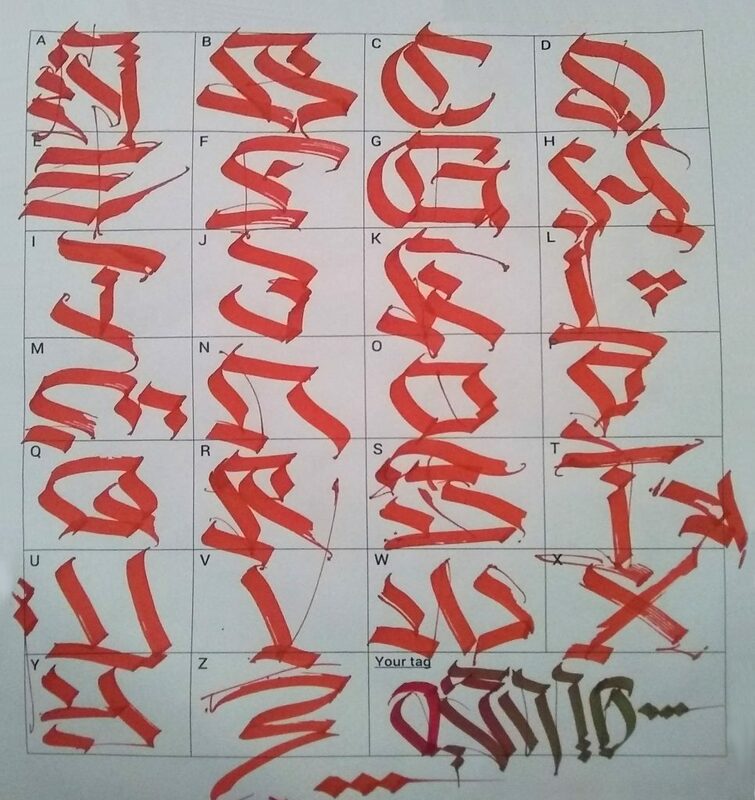 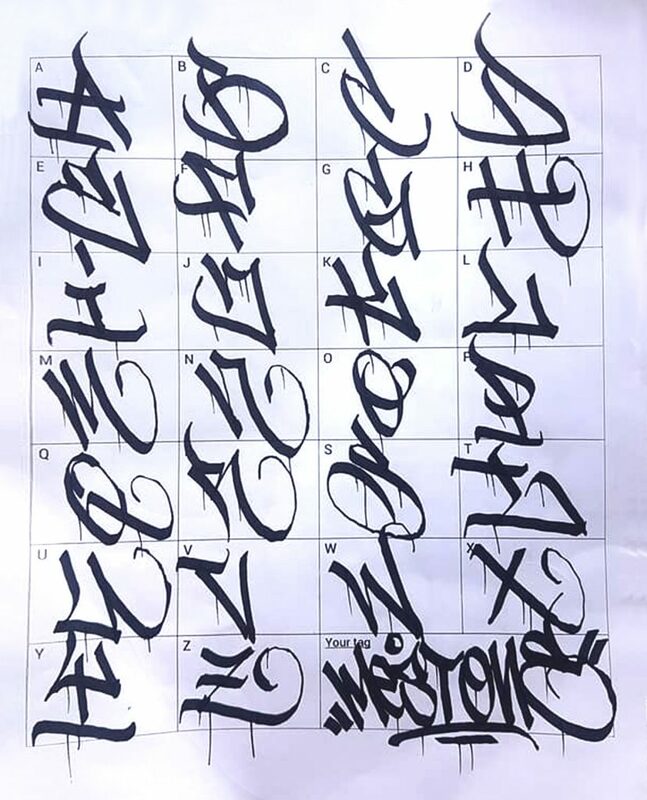 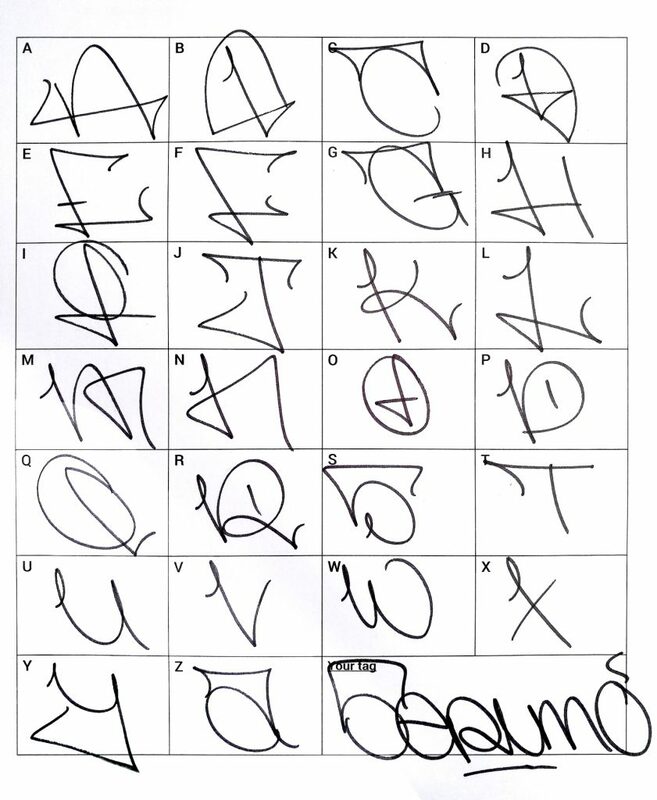 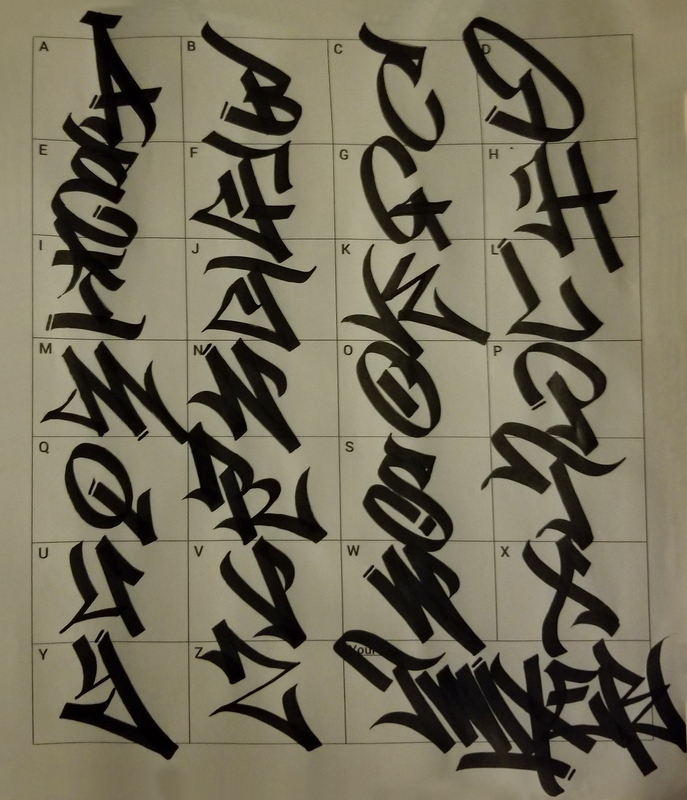 So enough with the history, let’s go straight to the graffiti letter styles! 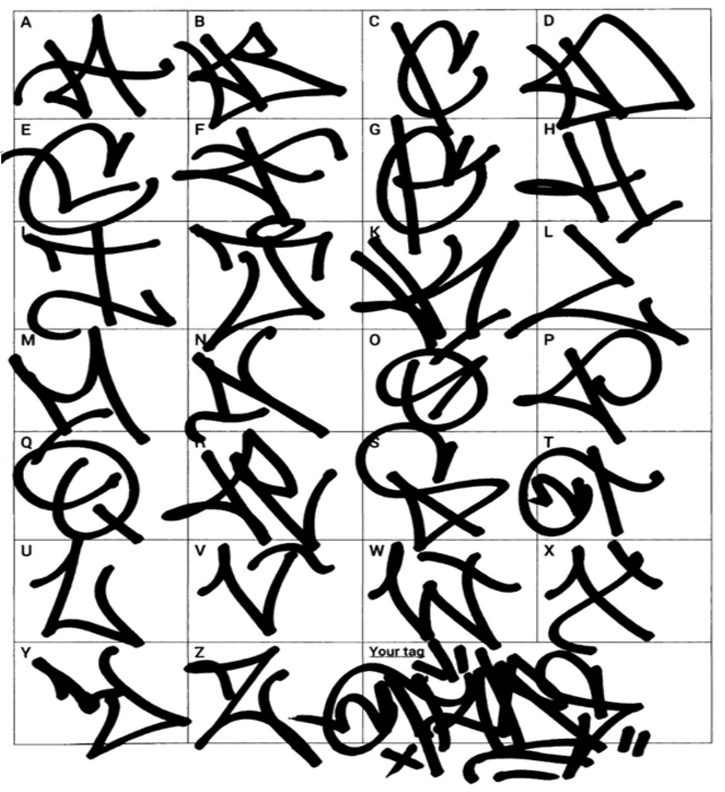 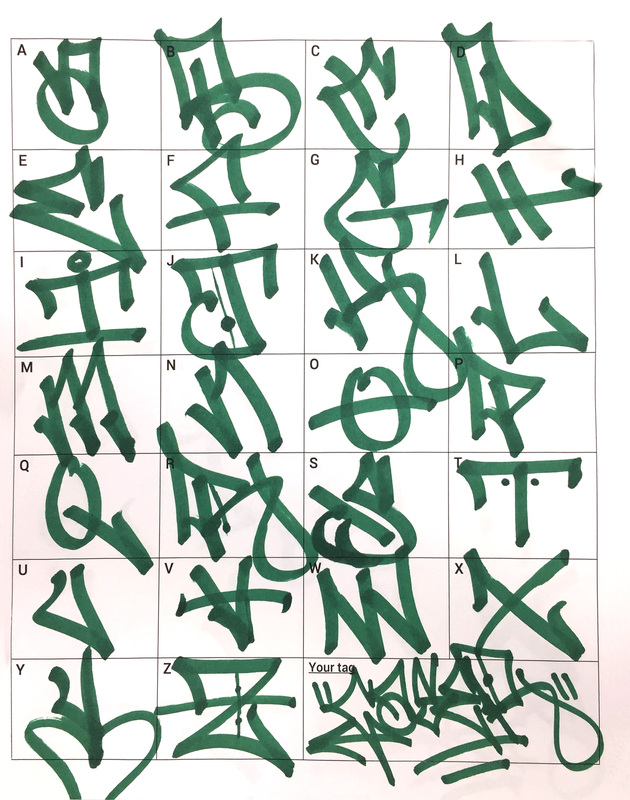 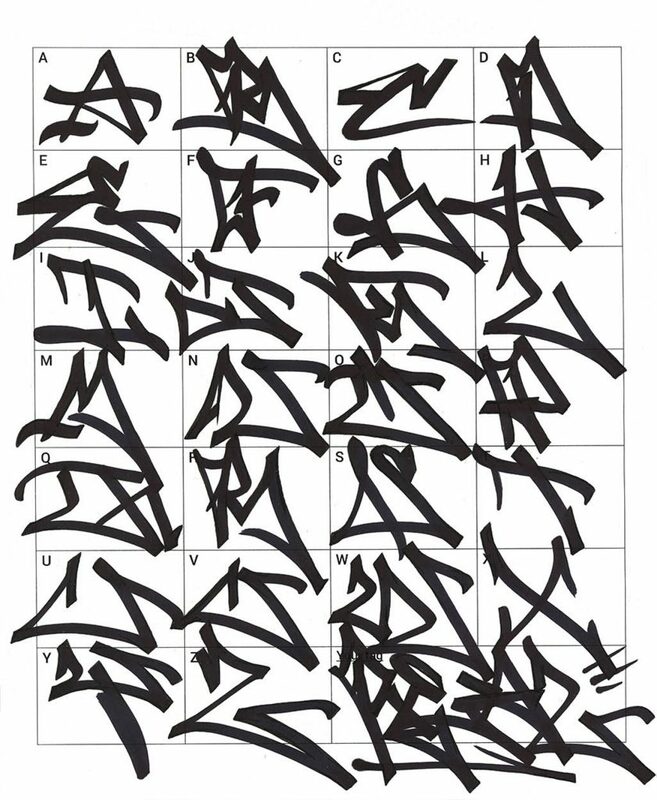 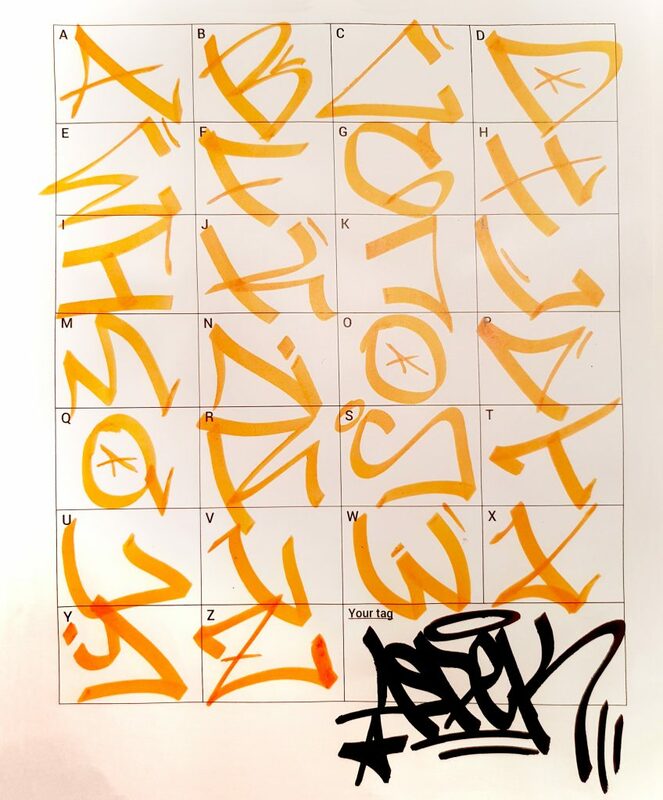 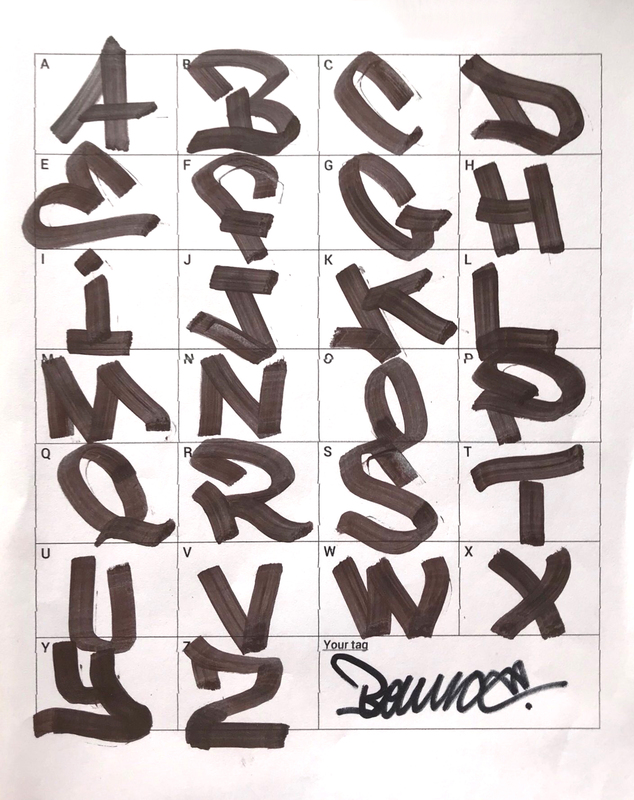 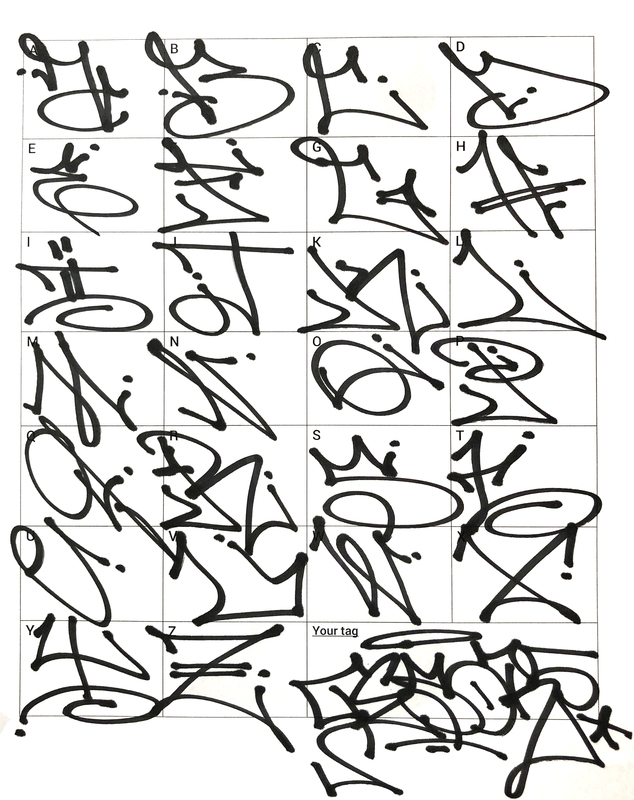 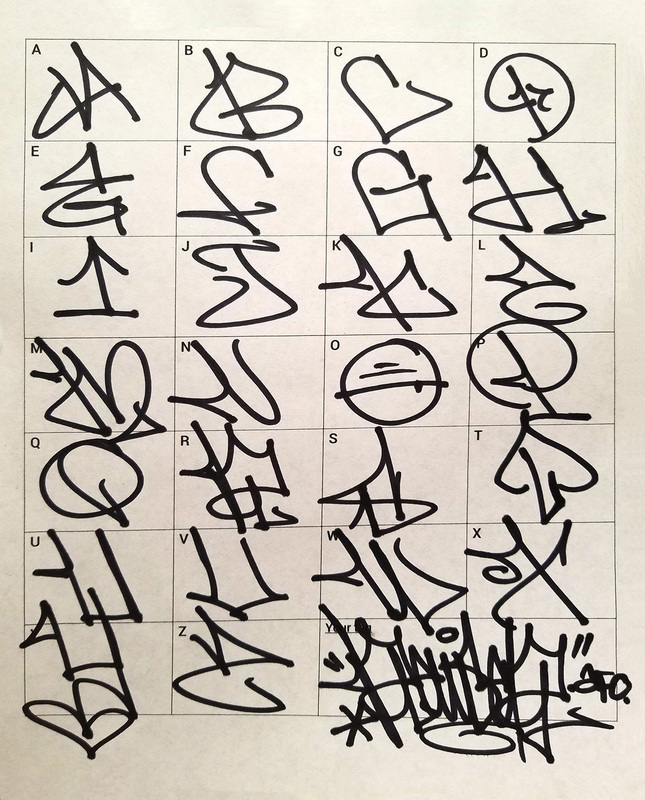 We have compiled the handstyles from 61 different graffiti writers rocking complete alphabets, to inspire you and to give you examples of some really different graffiti letters. 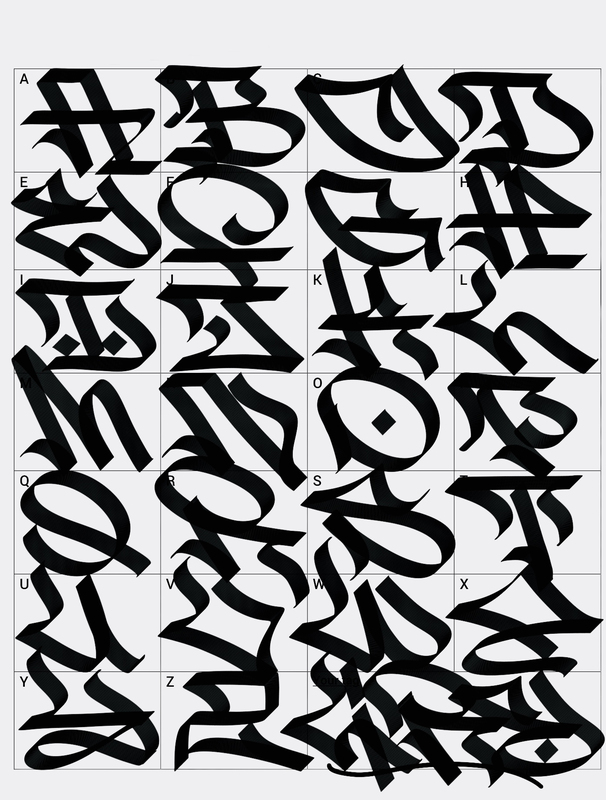 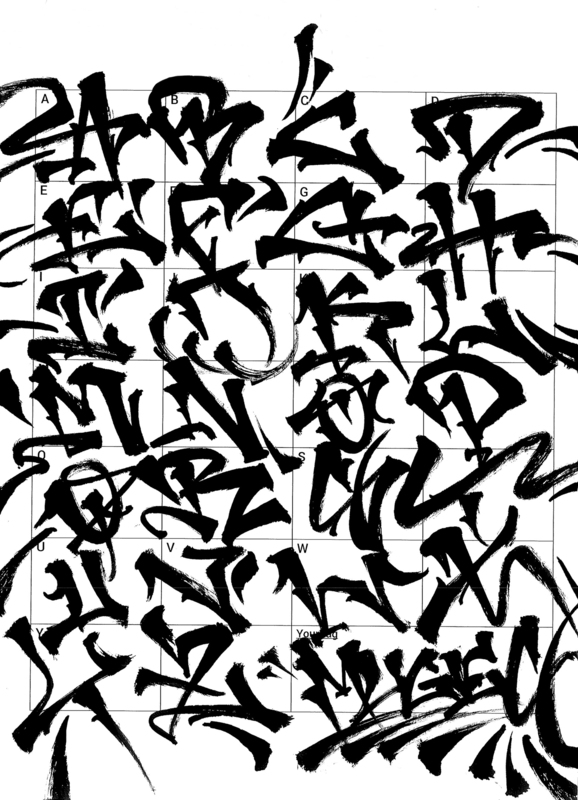 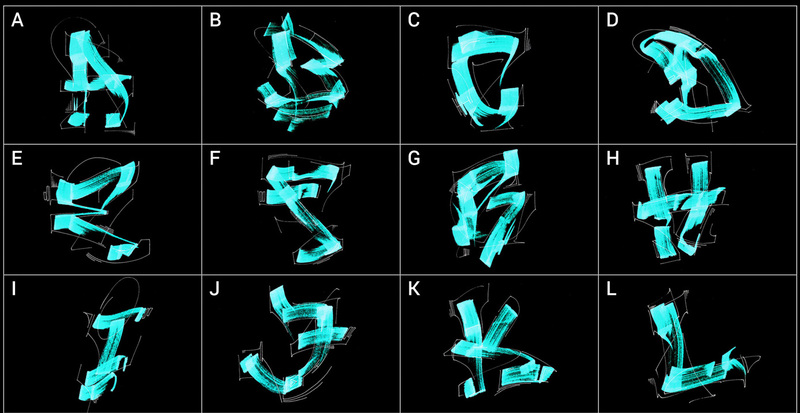 Ranging from the simply straight letters, graffiti fonts inspired, to the gothic and calligraffiti styles.